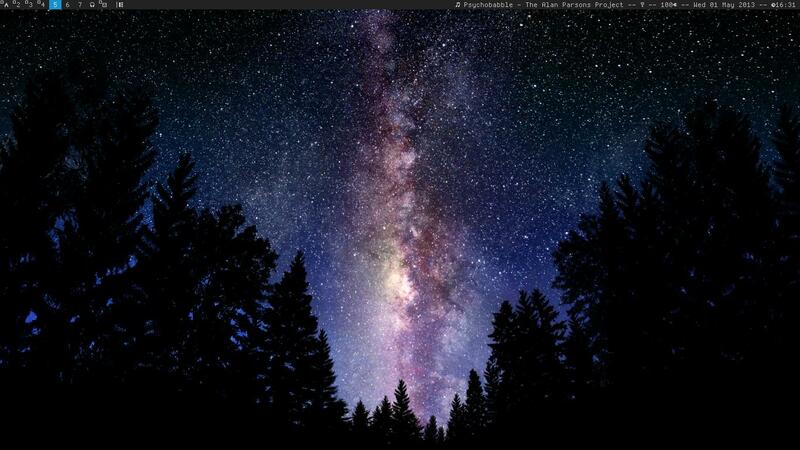 Here is my desktop for May. Awesome 3.5 in all its pretty glory. Also note the old school crap 80s film I'm downloading. You could say it is pirating but the film is so rare and bizarre I had no other choice. What editor is that at the bottom, and how did you make its statusbar look like that? Hey!! It's emacs and I'm using this sick plugin. That's awesome, thanks for sharing. I'm a vim user, but am going to start working through Practical Common Lisp pretty soon so I might give emacs and that plugin a try! 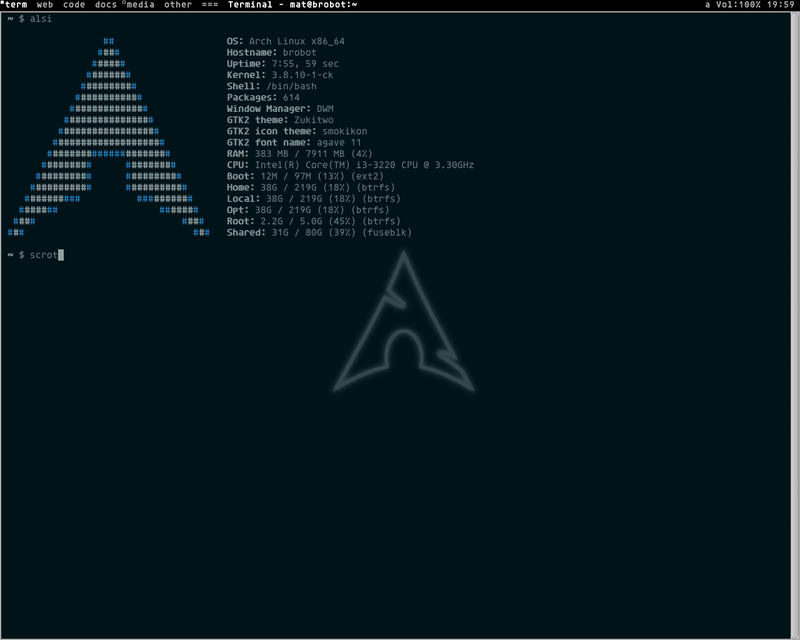 Just awesome , what is the zsh theme name ? Pretty simplistic, but it synchronizes well between systems. Cool fonts! What are they? 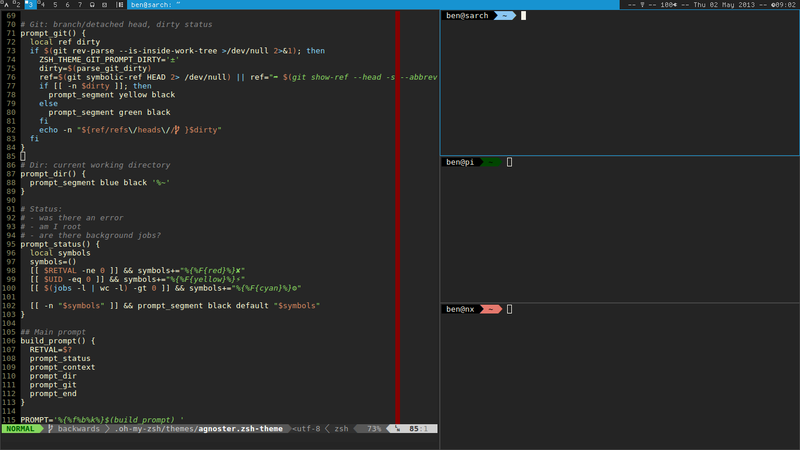 What is making vim so fancy [bottom panel]? In your zshrc? I'll looking vim-powerline. Yeah, already reported the double post. 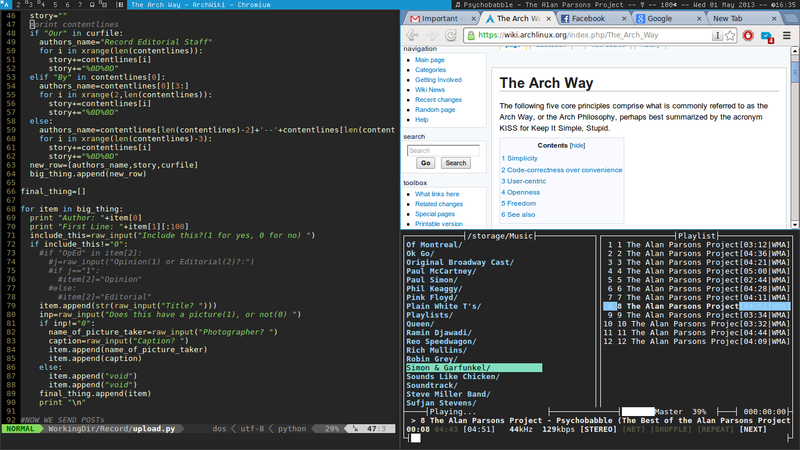 Also, if you're using zsh and oh-my-zsh, I like using the agnoster theme. It uses the same powerline fonts. Additionally, if you frequently ssh to multiple machines, setting the prompt color differently on each one gives a visual cue apart from the hostname. Nice! what font is that? It's DejaVu Sans Mono for Powerline. 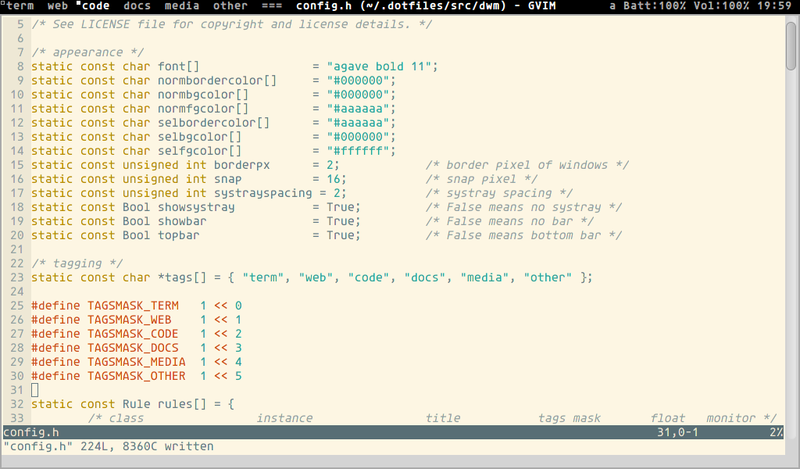 I found these terminal colors on the wiki; I'll probably be messing with them for a while. 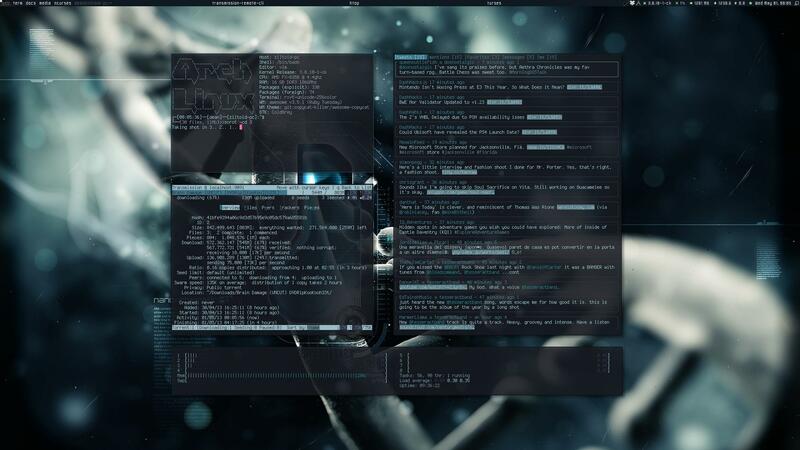 DWM with a custom graphical launcher/root menu styled with the same color scheme as the default DWM setup.